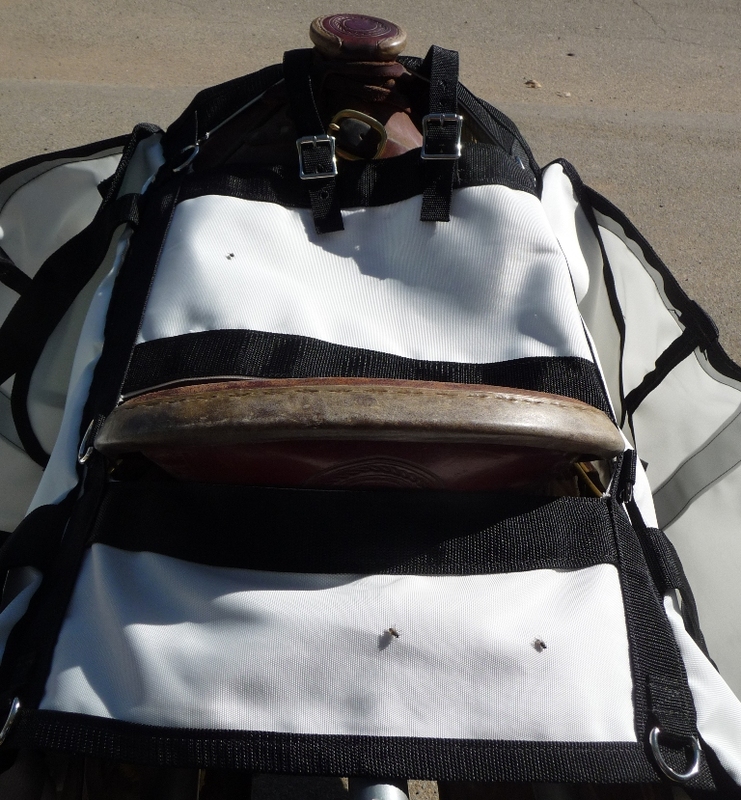 This Western Saddle Pannier is made out of a 17 oz. white colored Bear Cloth Material. It is not as durable as the heavy duty brown colored 28 oz. Bear Cloth Saddle Pannier, but will hold up much better than Cordura material. It is light weight with only about 13 lbs. and can be rolled up small & tight to be strapped behind a riding saddle if not needed. The pannier is made out of 1 x 10 ft long piece. 2 x 2" heavy webbing is sewn on and give additional support & stability. 6 x 1" D-rings in the center provide many options to tie down the pannier. 1 x 2" ring is on the backside of each pannier bag. Two double sewn nylon straps, 2"x 44" long keep the lid down. In addition we add 2 x 1" straps, which go over the top of the saddle in a diagonal and are buckled down on the front side of the pannier bag. By doing so, the weight of the pannier will be pulled up & away from the animal. 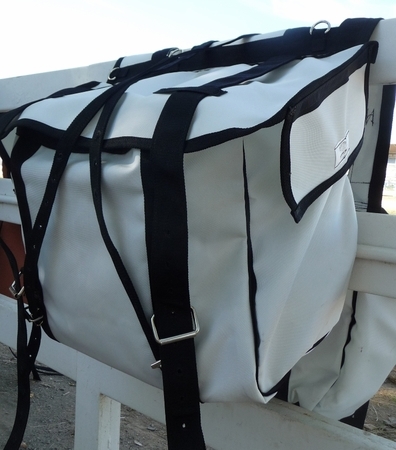 Our pannier liners fit inside the pannier bags. Measurements: 24"L x 17"H x 12"D.